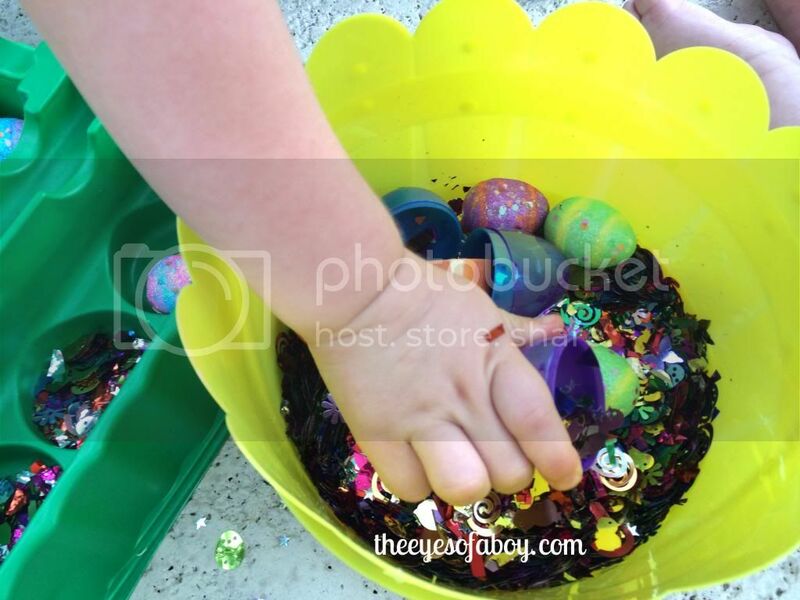 I’m so thrilled that I am able to be a part of the fun collaborative series 40 Sensory Bin Fillers hosted by Little Bins for Little Hands in which a different blogger features a different type of sensory bin material each day. You can check out the whole series here. 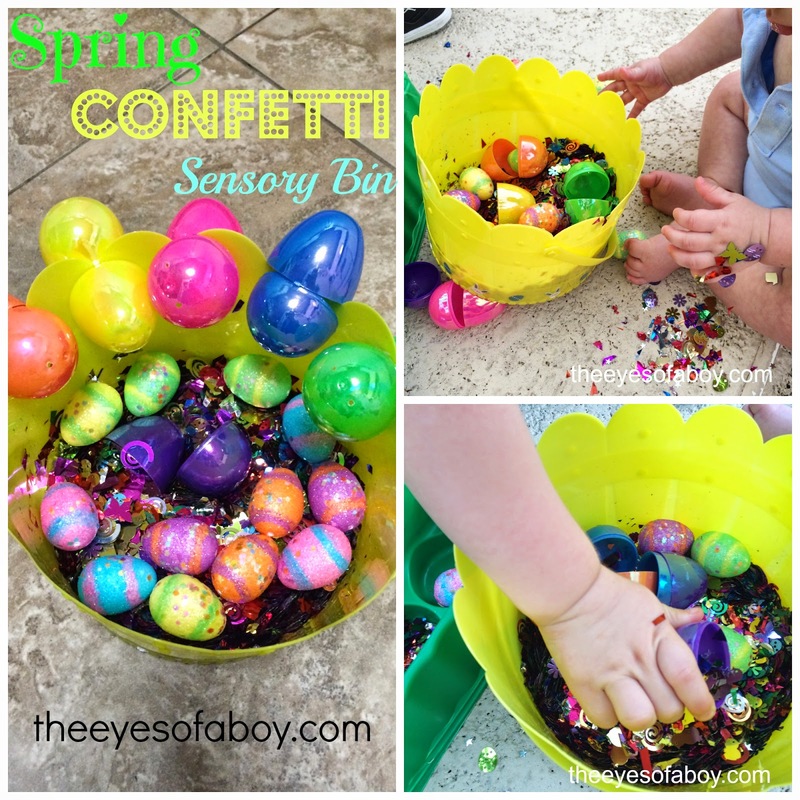 Since it’s April, I made this sensory bin Spring themed, and added in a bunch of plastic Easter eggs, and some decorative glitter foam Easter eggs, to the confetti bin. 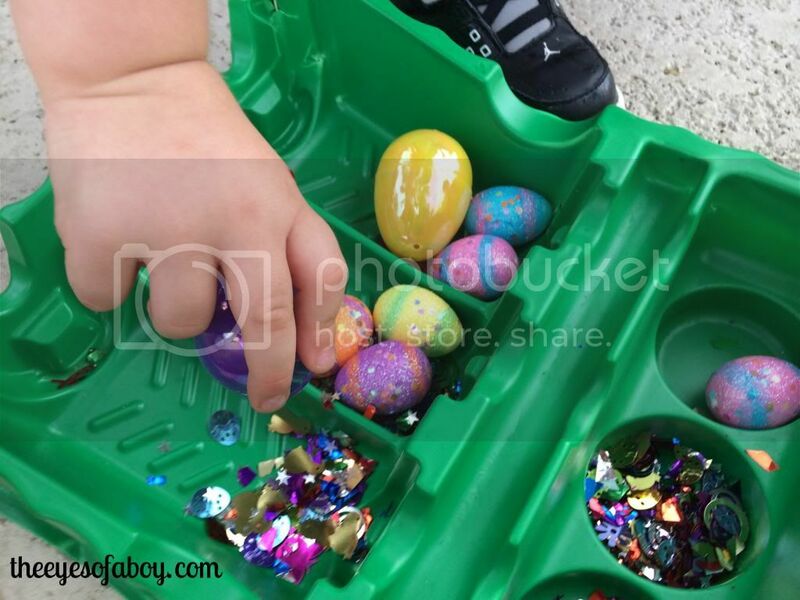 The sensory bin itself was actually a plastic Easter basket! The confetti was so cute! It had little Easter eggs, chicks, flowers, and other fun Spring shapes. 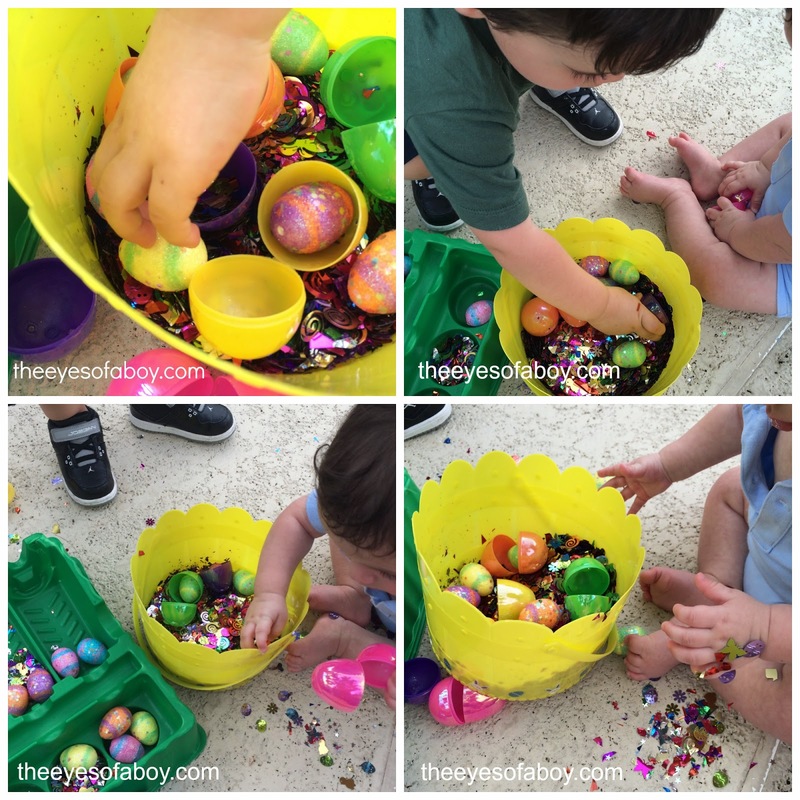 We took our sensory bin outside to play, since there was a ton of confetti inside of the basket. One wrong move and my floors would be glittering for the next 20 years! 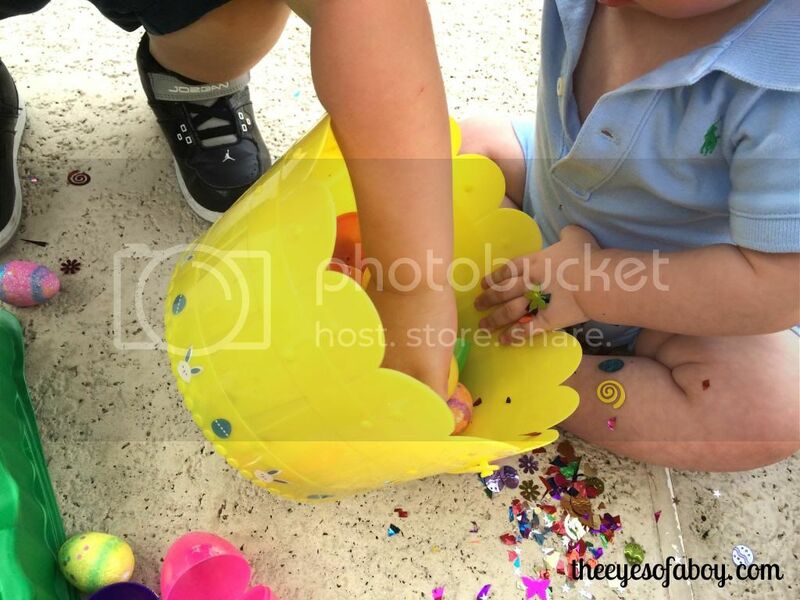 Little J opened up the plastic Easter eggs, and used each of the halves to scoop the confetti. He loves transferring materials from container-to-container, so this made his day! Baby L used his hands mostly, and watched what big brother was up to. Overall, this was a fun sensory bin, and I’m glad it was one that the boys were able to enjoy together! How fun! I don&#39;t know if I would be brave enough to do this in the house, especially with 2 little ones, but it sounds like they loved it!